The aim of the project was to produce high resolution orthophoto views in colour and fusing data from 3D laserscanning, total station survey as well as SFM photogrammetry. The high-resolution digital photos for modelling and texturierung of the 3D model were taken from the ground with a Nikon D800 (36 MP) as well as from a camera drone (UAV – Unmanned Aerial Vehicle). 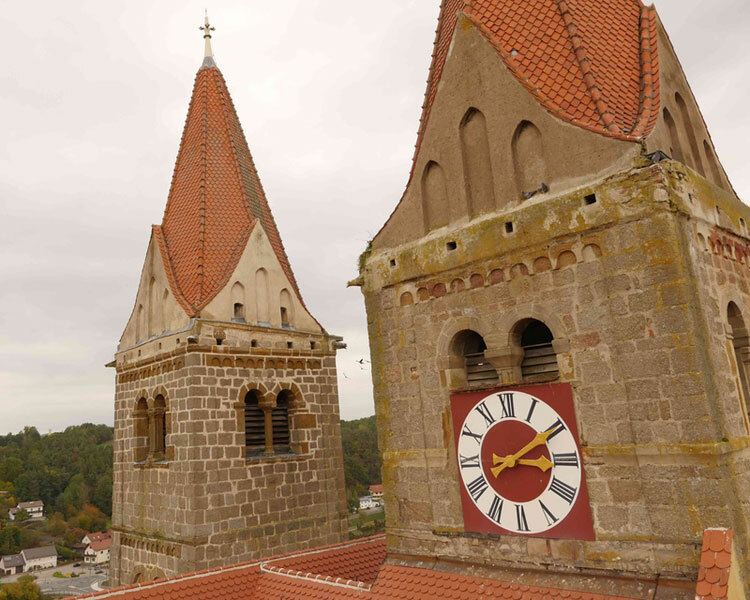 All facades of the abbey are documented in high resolution including some long-stretched facade sections and a total of eight facade segments of both church towers. 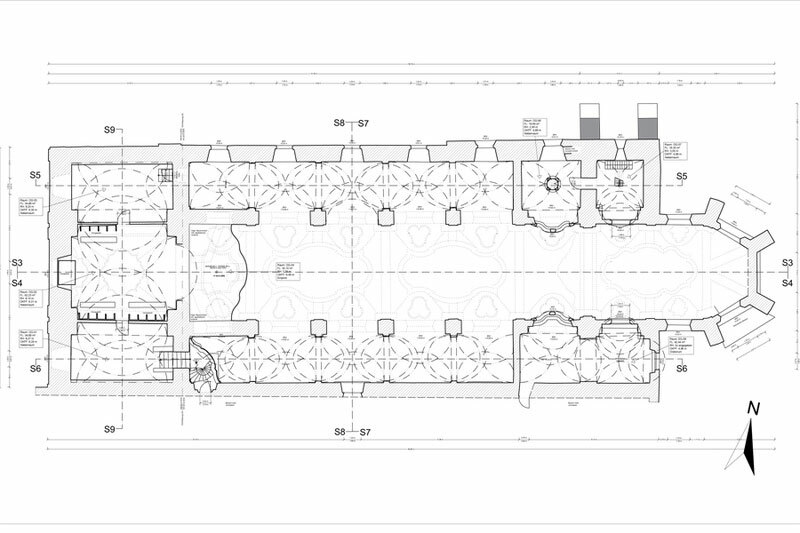 All orthophoto views were generated in a scale of 1:50 in order to reach the required working scale for the planning of the facade’s renovation. 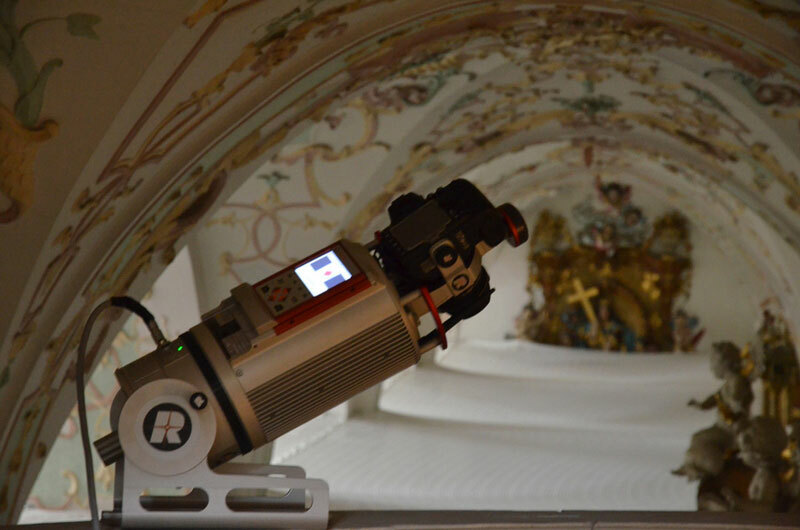 Inside of the abbey a complete CAD documentation was carried out with a 3D laser scanner. Because of fall-threatened stucco elements a safety net is stretched out across the nave. 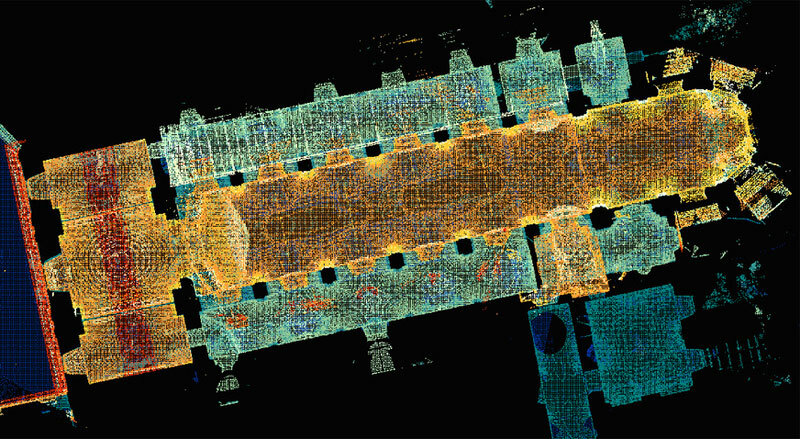 To generate reliable surveying results only the use of 3D laserscanning technology was suitable to penetrate the fine-mesh.